I have not read Jerry’s book, and I don’t have any intention to read it. I’m sure it is well written and well argued, but my time is currently devoted to projects that I think are more fruitful than atheism and the criticism of religion. That is why my TPM essay was carefully crafted as a response to Blackford, not Coyne. To attempt the latter without having read the book would have been intellectually dishonest. I began by defining accommodationism: having being accused a number of times of being an accommodationist (a word ominously reminiscent of “collaborationist,” but maybe I’m just paranoid), I think I have a sense of what Blackford, Coyne, and others are reacting to. These authors think that science undermines religion, and that if someone (like me) claims that that is actually not the case (with a huge caveat to come in a minute), then that someone is an accommodationist. And very likely he is also intellectually dishonest, unnecessarily deferential to religion, politically expedient, or all of the above. I then went into a discussion of Stephen Jay Gould’s (in)famous NOMA (for Non Overlapping MAgisteria) principle, according to which science and religion are “separate magisteria,” one concerned with matters of fact and one with matters of value. Blackford rejects NOMA, and so do I, for reasons I explain in the TPM article. That said, however, it is simply a gross misreading of the history and meaning of religious practices to claim (as many New Atheists do) that the main business of religion is, or even has been, the production of cosmogonies, thus trespassing into the territory of science. Sure, the Old Testament talks about the origin of humanity in terms of Adam and Eve, while Hindu texts tell us that the world is cyclically created and destroyed every 8.64 billion years. But so what? Even philosophy, early on, made cosmogonic claims, and science has definitely shown than Thales of Miletus was wrong when he thought that the world is made of water. By Blackford’s reasoning, science has also undermined philosophy, then. Except that it hasn’t, because science itself originated from that murky past, eventually becoming the field of human inquiry that is best equipped to tell us how heaven goes. Ever since, both serious philosophers and serious theologians (and a huge number of common religious people) simply got out of that same business. What, however, is the case is that religions are about ethical teachings and questions of meaning (and providing a sense of community and a social network). Whether those ethical teachings are sound, or the answers provided to the issue of meaning satisfying, needs to be assessed depending on the specifics. But such assessment is a matter of philosophical discourse, and perhaps of human psychology, certainly not of natural science. I also believe that there is no logical contradiction between accepting all the findings of modern science and believing in a transcendental reality (even though I don’t myself believe in it, for what I take to be sound philosophical reasons). Which is why lots of intelligent people, including lots of scientists, do in fact accept science and believe in a transcendental reality. By why not tackle religion in general? After all, the title of the book is Faith vs Fact (a generic “faith,” not a particular one), and the subtitle refers to “religion” in general, not just the highly qualified version that turns out to be the actual target of Coyne’s critique. Ignoring the smell of a bait and switch, however, even “a personal God who is involved in history” is far too ambiguous a statement. Is there any credible evidence that God performed miracles during recorded human history? Not really, but we have known that since David Hume, no need to deploy the might of modern science to establish that. The fact is, however, that contemporary theologians don’t spend a lot of time talking about miracles, and often speak of God as working through the laws of nature that He established to begin with. How on earth would a scientist test that hypothesis? Ah, so it turns out that science and religion are, in fact, logically compatible (not sure why the clause “strict” is necessary here, something either is or is not logically consistent with something else). Blackford continues: “religions have seemingly endless resources to avoid outright falsification.” On the one hand, this is, I think, a category mistake: since the primary goal of religions is not to seek truths about the natural world, the very idea that their statements ought to be falsifiable is weird. Imagine if I said that I don’t think the death penalty is ethically defensible (which is not the same as asking whether “it works” on pragmatic grounds), and you asked me for a falsifiable experiment that could prove that. I wouldn’t know what to tell you, other than that you are hopelessly confused about what I just said. On the other hand, however (and here comes the huge caveat promised above), some “religious” claims are eminently falsifiable, and have, in fact, been falsified. Think the earth is a few thousand years old? Well, much evidence from geology, biology, chemistry, physics, and astronomy clearly and unequivocally falsifies your “theory.” If your religion insists in telling you the contrary, then your religion is wrong and its claims about the natural world have, in fact, been falsified. Finally, let me add a few words on the nature of science, which is a major point of running dispute between myself and the New Atheists. Again from Blackford’s review: “[Coyne] favors a concept of ‘science broadly construed.’ He elaborates this as: ‘the same combination of doubt, reason, and empirical testing used by professional scientists.’” But this has it exactly backwards, historically speaking: it is modern professional scientists that use that same combination of doubt, reason and empirical testing that Homo sapiens has been using since the Pleistocene, and that has made us the dominant species on planet Earth (for good and, mostly, for bad, as far as the rest of the biosphere is concerned). To refer to the application of basic reasoning and empirical trial and error as “science” is anachronistic, and clearly done in the service of what I cannot but think is a scientistic agenda. Postscript: both Coyne and Blackford have responded to my critique. Predictably, both have deployed a significant amount of sarcasm, of which I’m happy to be the continued target. I can take it as much as I can dish it out. Nonetheless, I would like to point out that, as much as there is a lot that reasonable people can reasonably disagree about here, I was honestly struck and somewhat taken aback by the viciousness of Russell’s personal attack on me, which I will leave readers to peruse and judge for themselves. This entry was posted in Atheism & Religion on January 27, 2016 by Massimo. I’ll go a through f.
a). If the purpose of New Atheism is to help show less decided people the validity of atheism, then I’m all for it. But if it functions more as a political group from which to strengthen the resolve of supporters against its perceived foes, then no, I can’t support that. This second mission would conflict with the first. c). I don’t know much about NOMA, but I’ll agree that there is plenty of reason to separate science from religion. In science we model reality based upon phenomenal evidence, whereas in religion the opposite approach is taken — models are based upon “faith.” But I disagree as well. The human has never achieved any “facts,” and we do have phenomenal evidence of our values. C’mon, you can write more than one point per comment. Flooding the thread isn’t really polite. (d) I believe that one day there will be falsifiable ethical experiments, and think the first step will be for us to develop an accepted ideology. Let’s assume my own subjective total utilitarianism (which merely states that good/bad for anything, is determined by the sensations that it experiences). If you could reasonably measure the aggregate positive and negative sensations experienced by a society before and after “the death penalty” was implemented, then this would represent an ethical experiment. Some day neurology could quantify the sensations that we experience quite well, though even a survey would give us some evidence of human sensations. The main problem however, is that today we have no generally accepted theory of good/bad. Sorry Massimo. I’ll put the rest in one. e). Though we may have evidence that the world is more than a few thousand years old, this is can easily be dealt with through magic. A creator theoretically could have constructed the world exactly as it was a few thousand years ago, or even a few minutes ago. We wouldn’t know the difference. No, sorry, I don’t. The term “public square” in this context is vague, perhaps deliberately so by those who want to accuse secularists of excluding religion from “the public square”. What the religious often want is privileged access for religion, and if they don’t get it they then complain that they are being pushed out entirely. I fully support freedom of religious expression, and — taking the above literally — would support the right of anyone to walk into Trafalgar Square or Times Square and declaim on religion or hand out a religious tract to passers by. I do want the government to remain neutral on matters of religion, and so not take a pro-religious or anti-religious line. Citizens, though, should be free to do so. If someone could do something non-religious in “the public square” then they should be free to do the religious equivalent. Essentially the government should treat citizens equally, regardless of their religious views of lack of them. This is, of course, rather different from banning religion, which I’ve never heard any Gnu ask for. 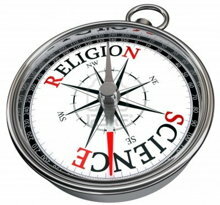 Indeed atheist campaigners are often in the forefront of defending the rights to free expression of the religious, for example in the recent case of a Northern Irish Preacher who described Islam as “Satanic”, or another UK case of a Preacher who was stating, in public, that gays were sinful.